Who needs to hear the good news of Jesus from you this Easter? Download these 8.5x11 posters, write in the name/workplace/city/neighborhood/school and spread the word!! for the sake of your steadfast love and your faithfulness! This weekend, we celebrated the opening of our new sanctuary at our University Campus! God continues to be so gracious to us! It’s our prayer that this place would continue to be a launching pad for ministry; a place that forms God-glorifying, gospel-centered, missionally-driven disciples, and sends them into our communities so that every man, woman and child would have repeated opportunities to see, hear and respond to the good news of Jesus Christ. An update from our missionary partners and dear friends, Luke and Alyssa Miller. As we enter our 4th month in Thailand, we are encouraged and strengthened by you and your desire to see Jesus lifted high among the nations. Living in a nation that is <2% Christian is a powerful and constant reminder of the desperate need for true hope and wholeness found only in Jesus. While it feels like we see and experience darkness on a magnified level, we are also happy to report that Jesus is alive and on the move with believers in Thailand. We are hopeful that the Church will continue to grow, spread, and multiply. Our desire is to become like the Thai, so that we can reach the Thai. To our surprise, that doesn’t happen overnight! We are in a season of “becoming like” which is probably the most difficult thing our family has ever tried to accomplish. Although it’s hard and will take much more time, making Jesus known is so worth it. Our family is doing well and we are enjoying our new home. Psalm and Shepherd are making new friends and have learned how to integrate rice into their daily diet! Alyssa and I are enjoying our Thai classes and are eager to keep learning. We love our neighborhood, and continue to build relationships with the people around us. We have developed a deep love for the Thai people, and each day we feel a little more “home”. Please continue to pray for our family. Pray for strength, rest, and peace. Pray that we continue to keep our eyes fixed on Jesus when we are tired and weary. Pray for our health, and especially our lungs as our city is currently experiencing the worst toxic smog in the world. Pray for Psalm and Shepherd as they continue to adjust to a completely new life. Pray for Alyssa and I as we continue to learn, grow, and minister together. We are so thankful for our Summit Church family. Thank you for walking alongside our family and thank you for partnering with us as we serve in Thailand. Hello from snowy, upstate New York! This week, two teams consisting of 25 students from IGNITE have dedicated their Spring Break to serve alongside two of our church partners: Missio Church in Syracuse and Restoration Church in Buffalo. Our hope with the trip is that students grow in their personal intimacy with God as well as their understanding and personal participation in the mission of God to reach every man, woman, and child with the gospel. Both Missio and Restoration are situated nearby major universities, so a main point of emphasis so far this week has been to evangelize on those campuses. For the past three days, we have partnered with campus ministries at the University at Buffalo as well as Syracuse University to engage students who are not yet saved. On Tuesday night at the University at Buffalo, we served alongside a ministry called Bridges International, which seeks to present the gospel to every international student who attends the school. Since nearly 25% of UB’s student population in international students, it’s a tremendous mission field. That night, after evangelizing and reaching out to students all day, we had the opportunity to worship alongside those students and experience a taste of heaven as we worshipped Jesus alongside people from every nation and tongue! 1. Pray that the gospel would take root in the lives of the people we had the opportunity to evangelize to at the University at Buffalo and Syracuse University. 2. Pray that our students would be encouragement and blessing to Missio Church and Restoration Church, and pray that God would continue to transform hearts and lives in their respective cities. 3. Pray that our students would catch a glimpse of the mission of God in these cities and that it would stir a desire in them to join him in his work at FGCU, in Estero, and the rest of Southwest Florida. We are incredibly grateful to Summit Church and all who supported the Back to School backpack event for Nicaragua. We are amazed at what God continues to do in the community of Esteli, Nicaragua. Through your giving and the help of countless others, we were able to reach the goal of 150 backpacks. Iglesia Bautista Fusion was able to bless those families and kids as they begin a new school year. Thank you for your generosity and know the impact made was not just physical, but eternal! My grace story is one with many twists and turns and is scattered with leaps forward and shoves back. It's a story that ultimately leads me to realizing that what I personally can do for my life is nothing in comparison to what God has for me. Though for a long time I have been a believer, I used to be more of a fan than a follower. I observed and considered what God wanted me to do, but I stood on the outside looking in rather than fully submitting to what God had for me and living it out. I was halfway in and halfway out. I knew God was good and had a plan for my life, but I couldn’t fully commit to the idea that what he had for me right now was better than what I could create for myself through my own actions and understanding. I finally decided that something needed to change. I no longer wanted to be temporarily fulfilled with what I thought were the answers to my happiness. I didn't want to live the shallow, prideful, and meaningless life I was living. I wanted the deep, wide, and eternal peace that only GOD can provide. I wanted to live with purpose. I wanted God to use me for HIS glory. For the past year or two, I have not lived a bad life in terms of being a “good Christian”. didn’t commit the outward sins we hear about most, but at the core I was relying on myself. I was doing things to glorify ME, and my identity was in things other than God. I saw God as someone to consult, rather than the person in control. Upon discovering my mentality of living partially for God and all for me, which got me nowhere, I decided to surrender. I’m now surrendering my identity as a runner, my identity in how I look, and all the other parts of life that pull me away from God…so I can be closer to God. I surrender my gifts, my voice, my thoughts, and all the good things in my life to God. All of it. Good and bad. I am surrendering every single day. This last month and a half has brought some of the most challenging times of my life, yet I have never felt so at peace and fulfilled as I do now. I pray daily that God would use me as a light to those around me, and that he would give me the right words to say. I pray that God would use me to glorify HIM and that I wouldn’t focus on things that glorify myself. Again, I surrender. It is amazing how much weight is lifted when you allow God to carry the load. I am definitely a work in progress, but each and every day I am waking up with the intention of glorifying God and surrendering ALL of me, to Him. I can feel God on the move in my life, and I am so excited to continue growing in my faith and living out HIS purpose for me. Ten years ago, I had a lot of hang-ups. I had no idea what it meant to follow Jesus and did not have a church home. The few church experiences I had left me feeling offended and judged when it came to tithing and financial giving. My unbelieving heart was hard and guarded. By the middle of 2009, we found ourselves in a huge financial disaster. And in the midst of selling and losing all of our earthly possessions I was heartbroken. I loved and treasured all the bright and shiny things of this world. They defined my success as a person and seeing them all slip away was just too much to handle. As we were preparing to move out of our first home and into a small apartment with our almost two-year old son my sweet husband suggested that we start attending church. My response back to him was, “how is that going to help?”. Eventually I agreed to try it out and we landed at Summit Church’s University campus one Sunday morning in September 2009. I immediately knew that something was different in that place and left feeling surprisingly comfortable and at home. I didn’t know it at the time but God was at work in my life. Over the next 6-8 months God continued to break down walls in my heart and I began to immerse myself in God’s word. I saw my sinful heart for what it was and began to see my need for a savior. In June 2010 I was baptized alongside my husband and gave my life over to Christ. I was once in darkness but now was given new life because of what Jesus did for me on the cross. I still am in awe of the way God worked in my once hardened heart. We continued to struggle financially and when it came to tithing and giving I was unsure of how to release the control. We were now expecting our second child and drowning in medical bills. I knew that God was calling us to consistently give of our finances and was asking me to surrender them to Him. I just didn’t understand how we were supposed to pay our debts while also being generous givers. I was trying to work to control it all and searching for a solution. My husband kept pursuing me and kept trying to get me to see that our giving wasn’t something that we did if and when we could. He kept reminding me that we give of our first fruits and then we handle the rest. I still didn’t trust that it would all work out but I agreed to follow his lead and hoped and prayed that something big would happen. And then God showed up and boldly proclaimed His presence in my life. He began to make His plan clear to me in a series of events and in the end, my husband had been given enough overtime work to pay all of our medical bills to the exact dollar of what was owed to bring our baby girl into the world. I knew in that moment that I had seen a true act of God in my life. He heard our prayers. He knew our needs. He provided for and cared for us in mighty ways. It was no longer my money. I was at peace right where we were at. God broke through the walls around my heart and I was able to surrender all to Him. I felt incredibly blessed even in the midst of the few earthly possessions we had and knew I was rich in heavenly treasures. I felt heard by my Creator and all I wanted to do was follow Him and live under His teaching. It hasn’t always been an easy road. I often catch my sinful heart slipping back to that place of wanting to be in financial control. But then I remember that time when I was searching for something more in all the wrong places and how God boldly taught me that He is in control of every aspect of my life and how he has promised to love and care for me despite my sinful soul. And so, as a daughter of a King, I will boldly proclaim His name for all my days. This year we had such a blast at WAKE Camp! 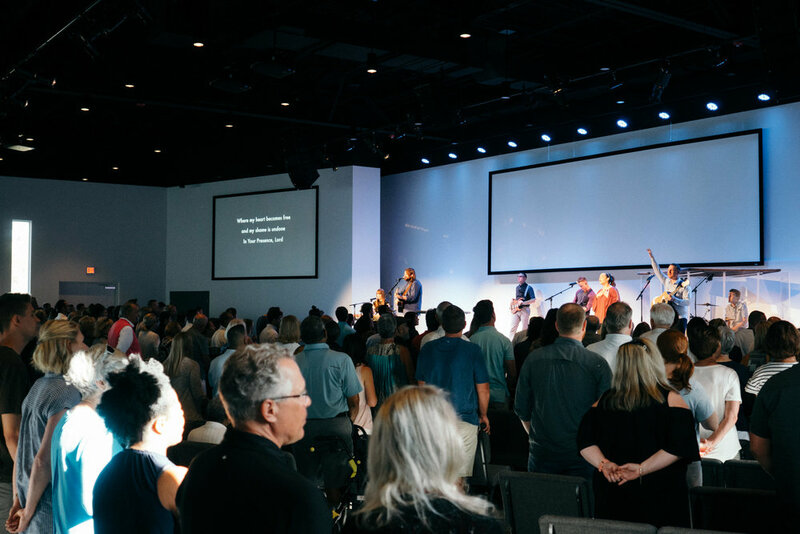 This time around we had 110 students and 25 leaders from all three of our congregations come together for a weekend of worship, fellowship, and fun at our Gateway campus. Things kicked off Friday night with outdoor games, dinner provided by Kelly Powell, then our first of 2 worship sessions. 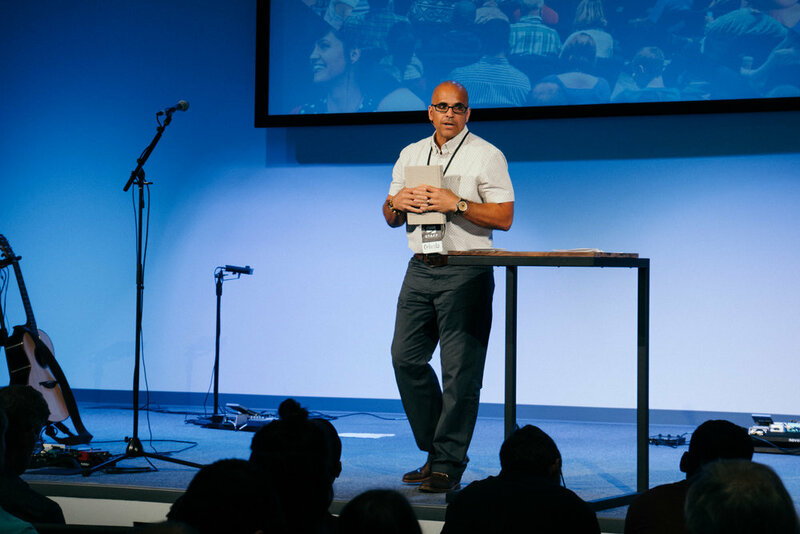 Gateway campus pastor, Adam Alexander, spoke from Romans 6 on Friday night, discussing the urgency of waking up to the sin in our lives and to the reality that we have all fallen short of the glory of God. As the worship team began to close out the session, students began to move around the room where leaders were spread out and made available to those who wanted to confess sins, pray, or talk. The Holy Spirit was working in the hearts of the students as our first night was coming to an end. We had 12 families kindly open their homes for us to stay in, where devotions and small group times happened after the sessions. During these times, our small group leaders led the students through questions like "How have you been asleep to the reality of your sin?" and "What will look differently in your life as you are waking up to this reality?". Those conversations brought much of a WAKE-ing up to the need of God's forgiveness. Closing out the night, we took trips to Publix where some of the groups got a quick start on their scavenger hunt by getting team selfie's with Police officers and purchasing some of the items on the list for the weekend-long game. Saturday, our final full day, began with breakfast and a video devotion for our small group time. Questions such as "are you awake to the reality that God is the creator and owner of all things?" and "what if you woke up tomorrow and only had the things you thanked God for today?" watered us and steered us towards thanksgiving and adoration for our loving God. Some groups spent the rest of the morning checking off more things on the scavenger hunt list with trips to Sanibel Island, Chuck E. Cheese, and the airport. We headed back to the Gateway campus for lunch and the beginning of our WAKE Games tournament. Students were divided up into teams that spread out across the campus and competed in several different events including knock-out basketball, corn-hole, face painting, cupcake decorating and laser tag! Within each team, pairs of 2 teammates went from event to event, racking up as many points as possible for their team. We saw God move incredibly through this time by keeping everyone safe, filling our afternoon with fun, and creating new friendships. Afterwards, it was time to head to our host homes for showers and free time. Later on, the groups met back at the Gateway campus for dinner provided by Mission BBQ before our last worship session began. Adam recapped the teaching from the previous night and transitioned into Ephesians 2:4-10; delving into the radical love of God for us even when we were dead in our trespasses. Throughout the night I was reminded of the powerful display of repentance from sin and full trust in God at last year's WAKE camp as students went to the front of the stage and kneeled at the foot of the cross. As the session ended, students from different campuses said goodbye to their friends, new and old, and headed back to their host homes for small group time. The questions for the night were centered around waking up to God's grace, living as an ambassador of Christ, and spurring each other on in the good news of Jesus. As WAKE 2019 came to an end, our groups packed their bags in the morning and headed to their congregations’ Sunday service. We praise God for His faithfulness and love for our students and the way He used this weekend to make disciples that represent the Gospel to every man, woman, and child. I’m not one who necessarily loves road trips. In fact, if given a choice I would always pick getting on a plane and getting to my destination as quickly as possible. My wife, on the other hand, grew up taking long road trips to everywhere in the continental United States; seeing almost every land monument our great country has to offer. We couldn’t be more opposite when it comes to that. However, over the last few years we have engaged in taking family road trips, and I have to admit they have been a ton of fun and the memories made were nothing short of awesome. Yet, all of this got me thinking about my spiritual walk with the Lord. You see, a lot of times I just want God to take me wherever He is leading me in the quickest way possible. Other times I want God to do whatever He is going to do in my life as fast as He can do it. In these seasons, I’m not necessarily interested in stopping to smell the roses or marvel at some amazing natural wonder along the way. I just want out of the car, so to speak. And I’m probably not alone in that. In fact, I know that I’m not alone. I have two children and both of them share these same realities; they have to trust in their father to get them to where we are going, to take care of them on the journey, and neither of them can take control of the wheel…What they can differ in is their perspective of the trip. Now I’m sure you can see that some of this is just me teasing, but there are some similarities here in my journey with the Lord. I am confronted with a decision to trust in my Father’s ability to get me safely to the place He is leading, care for me as we travel, and understand that He is far better equipped to lead my life than I am. But, it is also up to me to guard my perspective and my feelings regarding the journey and the worthiness of the One leading me. In this season, I have felt the Lord graciously meet me in my “How long O Lord?” moments and reorient me in such a way to bring me back to a few certain truths. 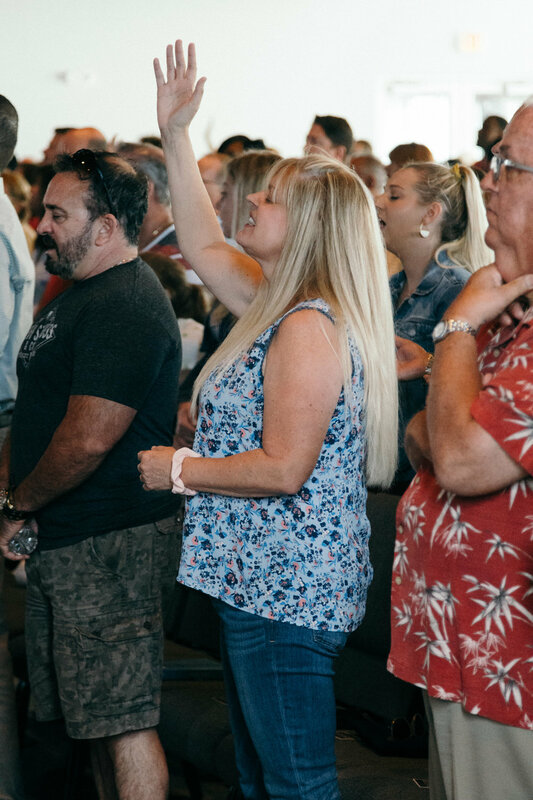 We’re praising God for his provision of land in Collier County to build on in 2019! We just broke ground this month! 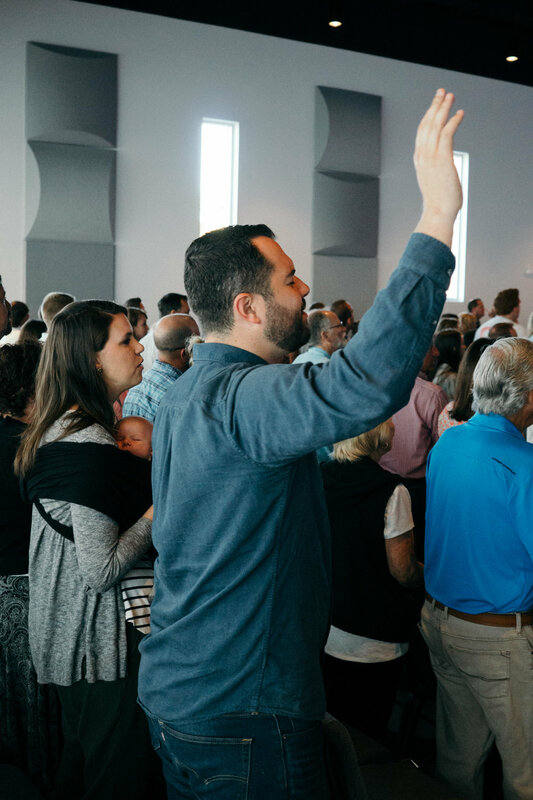 Pray with us that God will use our Naples Campus as a launching pad for ministry to make disciples that represent the gospel to Every Man, Woman and Child. So, I have never been a big Christmas exterior lighting type of guy. I have mad respect for all of you “Clark Griswold” types who light up your house and front lawns so bright that passing planes mistake your home as a landing strip. Well done. I tip my cap to you. I do love Christmas lights though and enjoy driving around looking at them as much as the next guy. But once we had kids, they really enjoyed exterior Christmas lights and wanted us to put them up on our home. So, every year I give it my best shot. I’m grateful that I don’t live in one of those neighborhoods where everyone begins putting up lights in August. Again, no judgement. Where I live, the bar is set pretty low for me which I am grateful for. I’m also grateful that my kids are still young enough to enjoy and appreciate their dad’s feeble efforts at exterior illumination engineering. When we return home in the evening from an outing and the exterior lights are on they just love it. Sheer joy. Conversely, their responses are very different when the “little lights aren’t twinkling” or when something is not working with our display. I get questions and disappointment. That got me thinking. Christmas lights are great and they do seem to brighten, pardon the pun, the season for many of us, and that’s great. But all the lights of Victoria Park don’t hold a candle to the greatest Christmas light of all, Jesus Christ. He is the light that this dark world of ours is in such need of. He is the illumination that our own sin-filled hearts long for and that the enemy attempts to shield our eyes from seeing (2 Corinthians 4:4). Yet the Father knew how desperately we needed this Light and so He brought it to us in flesh in the person of Jesus Christ. At times, our world feels like it must have in the days of Isaiah where the prophet stated that “the earth was filled with distress and darkness, gloom and anguish” (Isaiah 8:22). It’s against this backdrop that the Light shines the brightest, the darkness failing to overcome it (John 1:5). Jesus is the light of the world. His light shines in our darkness and nothing in all of creation, on earth or under the earth, can overcome it or extinguish it. This Jesus is not only the Light we need but He alone can grant the life we long for. He alone is the One that is strong enough to bridge the chasm of sin that divided us from God. This Jesus, the true Light has come and he gives light to all who believe in Him. This Christmas, my prayer is that we wouldn’t just stroll through neighborhoods marveling at the wonder of man’s engineering on lighted display, but that we would truly stand in awe of the grace of God who has sent the greatest light of all, Jesus Christ. My prayer is that those of us who have had this light shine into the darkness of our hearts, causing us to declare Him as our, would savor this light and continue to reflect it to others. My prayer is that we, the children of God, would continue like the wise men of old to follow this great Light with full conviction, excitement and desire to worship him; the One who was born in a manger, walked amongst creation, hung on a cross, died and rose again so that we could have eternal life. This is Christmas and this is where our hope, life, light, peace and joy are found, Jesus Christ, the light of the world (John 8:12). We’re so grateful for gospel partnerships like this one with David & Victoria Griffith of Casas Por Cristo. Take a minute to watch this video and be encouraged by what God is doing in and through us as we partner to represent the gospel to every man, woman and child. To make a Year End gift to Summit Church so that we can continue to partner with individuals and ministries to advance the gospel, click below. Here is a resource for use as families and individuals this Advent season as we reflect upon the arrival of Jesus, the one who brings us peace. Here at Summit we have something called The Every Child Initiative. Although this ministry started about 8 years ago, it’s possible that not everyone knows exactly what it is. The Initiative was born out of a desire to be increasingly intentional about the way that the church pursues caring for the orphan. By “orphan” I mean the vulnerable, the unprotected, the needy, the abandoned, and overlooked children right here in our own community and those that are all over the world. We aim to envision and equip the people of Summit Church to engage in caring for the vulnerable in a number of different ways including adoption, foster care, serving as Safe Families, volunteering as Guardian ad Litems, participating in the fight against human trafficking, and advocating for life for the unborn. As believers, we understand the important role that this kind of service has in the life of the church as well as in the life of the community. Caring for people is important. Culture agrees. For us as the redeemed, though, it comes from a much deeper place. Culture “acts”, but as Christians, we respond. We respond out of an appreciation for the love of God that has so graciously enveloped us. We respond out of gratitude. For us, this kind of care is a natural overflow of the love and grace that we have been given. It’s what marks us. It’s how the world recognizes us as Christians- by our love. We extend ourselves in love because we have been so lavishly loved by God. The Every Child Initiative exists to glorify God by envisioning, equipping, and empowering disciples to have gospel impact in the lives of vulnerable children. Will you take a minute to remember with me? Think of your own Grace Story. Remember when the Lord brought you from death to life? Think of your condition before you came to know the saving love of Jesus Christ. Were you lost? Far off? An outsider? Misled? Striving? Confused? Hopeless? Lacking? Without a future? Anxiety- ridden? Alone? Desperate? Not good enough? As you have come to know the unsearchable riches of His great love, what are some of the words that you would use to describe God’s gracious dealings with you? Given peace, comfort and a future? These truths are the believer’s inherent reality. If we have put our hope and confidence in the saving work of Jesus Christ, all of this, and more, is ours and we will spend the rest of our lives discovering the unending goodness and love of our Heavenly Father. Every November, the Church worldwide recognizes Orphan Sunday as a day to remember the Orphan and to call the Church to action. Caring for vulnerable children is just one of the many ways to live out the gospel and to live into our faith. As the body of Christ, we have the common experience of redemption, rescue, and unconditional love. Out of this shared experience, we are called to plead the cause of the vulnerable. And though it can sometimes feel intimidating, the Bible says that in knowing Christ, we have everything that we need for life and godliness (1 Peter 1:3). We are a people that are uniquely equipped to endure difficulty as we are ever learning to set our minds on things above and learning to find our joy and hope in Christ alone (Colossians 3:1-2). We are a people who are made to persist, as we are deeply and firmly rooted in the love of Christ (Ephesians 3:17). We are a people who are sustained by the comfort of our God, as He is close to the brokenhearted (Psalm 34:18). And we are a people who are hopeful as He promises to make beauty from ashes (Isaiah 61:3). We are a people made to live out the mystery of faith and the paradox of Kingdom living… compelled to love, empowered to emulate, and blessed to suffer. As we empty ourselves, though it might be costly, we find more of Him. The gain is worth it- to know Christ, to know the power of his resurrection, to share in his sufferings, to become like him in his death (Philippians 3:7-11). Somehow in the economy of Christ, we find that to give is to gain, and to lose is to win. *First, will you remember your own grace story? Would you share it with at least one person today? Would you remind yourself of how the Lord has rescued and redeemed you? *Second, will you take time to ask the Lord what He may have for you? Maybe it is time for you to engage in one of the following ministries. Or perhaps you’ve been serving in one particular area, but now the Lord has a new work for you. No matter what, you won’t want to miss out on whatever He has for you in this season. *Life advocacy- Do you have a heart to care for women who are experiencing an unplanned pregnancy? Could you walk alongside them through a season when they might otherwise feel alone and unsupported? Would you advocate for their unborn child? *Anti-trafficking- Would you want to step into the fight against modern day slavery? According to DCF, in 2017 there were 366 cases of human trafficking in the Suncoast region of Florida (this region includes SWFL). And those were just the cases that were reported. Do you have a heart to care for people who have been abused or exploited… to show them hope and to help them find healing? *Adoption- Do you feel called to be a forever family for a child that needs a loving home? There are 140 million orphans worldwide, with 111,820 children in the United States waiting to be adopted. Here in Southwest Florida, there are 50 children in the system right now needing forever families. *Foster Care- What about the 569 children in foster care in just Lee and Collier counties? Could it be that the Lord would have you step into caring for these kids that are right here in our own community needing care and protection? *Global Orphan Care- Maybe the Lord has given you a heart for the vulnerable in a particular country? Are you burdened by the agony of food scarcity, lack of education, poverty, malnourishment? We can help connect you with organizations that provide for the needs of vulnerable children in different parts of the world. *Guardian ad Litem- Could you stand in court for children in our community and speak on behalf of the child’s best interest? As of this past August, only 63% of the children in care in SWFL had Guardian ad Litems. Would you consider lending your voice and your heart for their cause? *Wrap Around Care- Could you sign up to bring a meal to a family that has recently brought a foster or adopted child into their home? You have no idea what a significant blessing something as simple as a meal can be to a family. It lets them know that they are not alone. That they are supported and loved by their church family. What about providing respite care for foster families by offering to care for their foster children when they need to travel? Would you consider serving families by mentoring, tutoring, or babysitting their children? * Most importantly, would you simply commit to pray? Pray for the children. Pray for the families they represent. Pray for those who have already stepped in and are caring for them. And pray about whether you the Lord would have you step in? Will you ask the Lord to let you see what He sees? To let what breaks His heart break yours as well? *The last ask is this- Would you join us on Sunday evening, November 11, 2018 to spend an evening worshipping the Lord and praying for vulnerable children. Many of our partners will be there for you to meet and to answer your questions. The service will be from 6pm- 8pm at the University Campus. As believers, we were made for this. We were made to lay down our lives on behalf of others. We were made to carry to gospel into dark places and offer hope. Once again, we have this opportunity put before us. Would you take time this week to remember what you have been given and then see if the Lord might be calling you to respond to these particular needs? What if this November you are being invited to go deeper? What if you are being called to a place where you might have the opportunity to know God more intimately? What if, by God’s grace, you have been invited to emulate the Father in rescue, adoption, bringing in, giving comfort, and seeing restoration. Will you step in? Our hearts are overwhelmed with gratitude as we recall your goodness to us… your grace… your personal and redeeming love. Help us to never lose sight of the tremendous gifts you have given us in our salvation through Jesus Christ, our adoption as sons and daughters, our anchored hope, and our promised future. We seek you alone as we put before you the many opportunities to participate in the advancement of your kingdom. We ask for your direction. We ask for clarity and discernment in what you would have us pray through and possibly even step into. Show us where fear is hindering our faith and allow us to know your perfect love in a way that moves us beyond ourselves. Remind us of your faithfulness and power. With you, all things are possible. Lead us and sustain us as we step out further. Give us a heart that says yes and fortify our yes for even the most challenging days. Surrender our souls to your perfect will. To you alone be the Glory forever. Amen. To learn more about The Every Child Initiative, please visit us at www.everychildswfl.com. After months of planning, preparation, and prayer, Fall Retreat 2018 was finally here! On Friday afternoon, Ignite students started to flood into the Embassy Suites in Deerfield Beach more than ready to take a break from school and work. While checking students in, I could easily distinguish the Fall Retreat veterans from the newbies. Those who had been there before had high expectations for the weekend, while the new(er) students, though excited, had no idea what great things were going to happen in the span of just a few days. That night, Stephen kicked off our first session by introducing us to the book of Ruth and its redemptive narrative, which gave us the foundation to our weekend’s theme: redeemed. By looking at the story of Ruth over the next two days, we learned that God often empties us of ourselves and all that we tend to hold onto so that He can fill us back up with His abundant, life-giving provision. Out of His great love for us, He helps us recognize our need for Him and redeems our lives by rescuing us from trouble, restoring us to new life, and loving us with an unwavering commitment. These truths sank into the hearts of all the Ignite students as we listened, worshipped, and discussed what we learned in our discipleship groups. While worshipping in the back of the room each session, God allowed me to witness a beautiful increase of genuine worship and passion amongst my peers. As the days and nights progressed, I watched with tears in my eyes as the amount of students raising their hands and purely worshipping the Lord grew substantially. 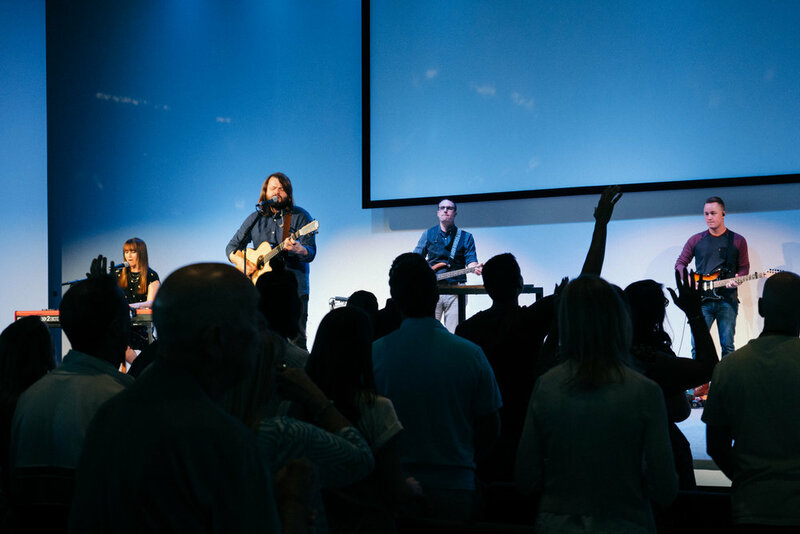 At one point, the entire band stopped playing and the sound of more than 140 voices filled the room, praising God for the freedom that can be found in following His way over our own. I couldn’t help but wonder who would hear these words of worship flow out of the room’s double doors. As for me, it was a sound I hope to never forget. Like any good retreat, we were also able to have a lot of fun through team competitions and games. Some of the favorites were life-sized hungry-hungry hippos, headphone karaoke, and human bingo to name a few. In addition to the fun, friendships were formed over the weekend, developing over meals, throwing the football near the ocean, listening to music, tanning, having late night heart to heart talks near the pool, walks to the pier, midnight runs to iHop, or watching the sunrise. The more we learned about each other, the more we realized the beauty and strength that comes from doing life with the diverse family of God. On Sunday morning, 11 other students and I got baptized in the ocean (where we braved a crazy amount of seaweed) to publicly declare that Jesus is Lord of our lives! I couldn’t think of a better way to close out the weekend than sharing in the celebration of what God has done in our lives and the hope of what He will continue to do in us and through us. Emptied. Filled. Redeemed. Little did we know that these three words would help us realize the powerful love of God and the realities of His redemption from the story of Ruth. I know that I can speak for all the Ignite students when I say that Fall Retreat 2018 was unforgettable, and we are beyond thankful for the prayers of the Summit congregation on our behalf. We left this retreat refreshed by God’s Word, deeply connected to old and new friends, and refueled to change the campus culture at FGCU for God’s glory and renown. 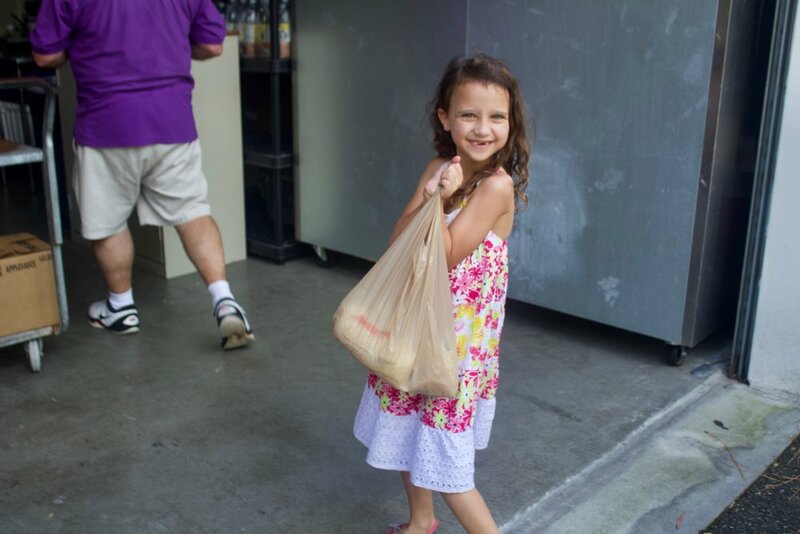 This past weekend, we poured out of our weekend services and flooded our neighborhood Publix grocery stores in order to demonstrate our love and care for the less fortunate by stocking our local food pantries. The response was overwhelming! Our 3 campuses, along with our church-plant partner Fort Myers Community Church, generously purchased and donated nearly $50,000 worth of groceries to two of our community partners, Interfaith Charities and Helps Outreach. Thank you for representing the Lord well as we strive to give every man, woman and child repeated opportunities to see, hear and respond to the gospel of Jesus Christ! While we can’t openly proclaim the gospel in the school, this tangible act of service to our schools and community has opened numerous doors for us to share Christ with individuals and families in need. Pray for our team that they would love our teachers and schools well this week! Pray also for continued opportunities to proclaim the gospel to every man, woman and child! Last year’s Fall Retreat was where I first experienced the truth that what Christ did on the cross was for me too. Yes, even me. I grew up with divorced parents and wandered for the next 16 years dead in my sin. Truthfully, it was only because of a friend’s perseverance to get me to go on the retreat that I got into a car with some other guys heading to Deerfield Beach. I spent the first day with my GoPro and a journal, sitting on a big rock, staring into the depths of the ocean. I reverted back to a familiar place in my mind, sifting through the sadness and shame I felt for the things I had found happiness in before. It was there, in my nothingness, that things began to happen (which I couldn’t explain at the time). I met two guys from IGNITE, John Michael and Darius, right there on the beach, and they invited me to walk with them. I had a lot of fear leaving that rock overlooking the ocean and that place in my mind. I was way too comfortable there. Later that day, we all piled into the hotel ballroom for the first session taught by Jim Murphy on 2 Corinthians 3:1-4:6. He spoke on the weight of the gospel. I thought I knew what the gospel was, but really, I had no clue. To me, it was just a bunch of words. We went on to play team games, go swimming, and eat at IHOP. I remember sitting at dinner with a couple guys, talking about our highs and lows of the trip so far. Most of the lows were about the drive to the retreat, but their highs sounded exciting. I didn’t really have any highs. And if I did, I left them back at that rock. “I guess being here is pretty cool, and getting to meet you guys and hear about your lives,” I said. When we got back to the hotel, someone I had met before back at FGCU invited me to walk the beach with their small group. We ended up walking for nearly 40 minutes to a fishing pier where we sat for another hour. This time brought about a unique sense of freedom I had never felt before: openly talking about my life with a community that genuinely listened and cared for who I was as a person. I shared my story with them—how I grew up, what made me the person I was, and who I still was at that time. My shame had haunted me for years, and it only took a three-hour discussion at 2 a.m. on a beach with people I had never met before for me to realize how dead I was inside and how broken my life was. I heard the gospel that night, for the hundredth time. But this time, it wasn’t just words. This time, I understood. It was while I was walking on the beach, laughing in a hot tub, praying at the IHOP, playing games of spike ball, listening to the speaker sessions, and participating in small group time and worship that I realized I was not who I was supposed to be. I got bug eyes from reading that verse. It meant that I no longer had to be “the reason” my parents divorced. High School and college rejections didn’t hold my identity anymore. I didn’t have to be a slave to the abusive friendships I was chained to. Sports didn’t have to be a false source of life anymore. I wanted a new life, deeply rooted in the perfect love of Christ. Some friends had prayed for me that night, that God would not only see my brokenness, but that He would know it from the very day it started. That the blood of Christ would drown my shame, my sadness, and my hurt. That the Father would save me and make me a new creation, and make me look more and more like His Son, Jesus, every day for the rest of my life. Later that night, I sat down with Stephen and my community group leader, Iggy, for the baptism interview. They asked me to share a little bit about who I was, and it wasn’t 30 seconds into it that I found myself again longing for the love of Christ. God didn’t let me sit on the verge of crying. No, He wrecked me. After telling my story, Stephen told me that he thought God would love to adopt me into His family. The hinges went flying, tears were rolling, and I found myself joyfully hugging two brothers of my new family. On Sunday morning, I and seven others proclaimed the name of Christ to hundreds of people, gathered on the beach (some of them weren’t even part of the retreat). The IGNITE Fall Retreat spearheaded my path: I became a covenant member at Summit, began serving through the church, walking in discipleship at IGNITE, found restoration through the Recovery ministry, became certified in biblical counseling, and I am now interning with Summit Students at the Naples campus. Now, I ask that you would join me in praying for this year’s Fall Retreat. Pray that the gospel would lead the next student off his or her rock and onto their knees. Pray that those who come without many friendships would be willing to join others in worship, games, dinner, and find their place in community. Pray that our leaders would be faithful representatives of Jesus! Pray that true friendships would be formed. But most of all, pray that the Holy Spirit would open eyes to the beauty of the gospel, and many, many more students like me would be saved!